Alstom’s Coradia Polyvalent train ... paln for production in Algeria. Alstom, a world leader in integrated railway systems, has entered into an agreement to extend the activities of its Algerian joint venture to produce Coradia regional and intercity trains for the local market. The frame agreement among Alstom, EMA (Entreprise Métro d'Alger), Ferrovial and SNTF (Société Nationale des Transports Ferroviaires) extends the activities of Cital (the joint venture firm) to include the assembly and maintenance of regional and intercity trains, in addition to its current focus on Citadis trams, said a statement. The agreement was signed by Yacine Bendjaballah, managing Director of SNTF; Aomar Hadbi, CEO of EMA; Salah Melek, managing director of Ferrovial; and Henri Bussery, managing director of Alstom Algeria, at the CIHN (Comité Intergouvernemental de Haut Niveau Algéro-Français) in Algiers. The signature took place in the presence of the French Prime Minister Manuel Valls and the Algerian Prime Minister Abdelmalek Sellal. The new agreement also includes SNTF’s entry into the Cital joint venture as a shareholder. SNTF intends to order 98 Coradia trains from Cital, based on Alstom’s Coradia Polyvalent in its bimodal version. The acquisition is part of the operator’s plan to extend its rail network from 3,000 km to 12,500 km by 2025, own a larger fleet able to circulate on various types of lines, and offer an enhanced quality of service to its passengers. The Cital site in Annaba, currently dedicated to the assembly and maintenance of Citadis trams, will be extended from the current 46,000 sq m to 190,000 sq m. It will house an engineering department, new production lines, and a maintenance depot. It will have the capacity to produce one Coradia train per month. The new activity will progressively create up to around 270 direct jobs at the Annaba site, currently employing more than 240, and several hundred indirect ones. Alstom will provide training and will transfer skills, know-how and technology to Cital’s employees for the production and maintenance of the new trains. “This signature represents a very significant agreement with our partners in Cital, EMA and Ferrovial, with whom we have carried out successful tramway projects in several cities in Algeria and now also SNTF, who will join the joint venture. Cital’s extended activity will certainly contribute to the emergence of a railway hub in Annaba, reinforcing Algeria’s industrial sector while offering a larger number of people the opportunity to travel via reliable, safe and environmental-friendly modes of transport. 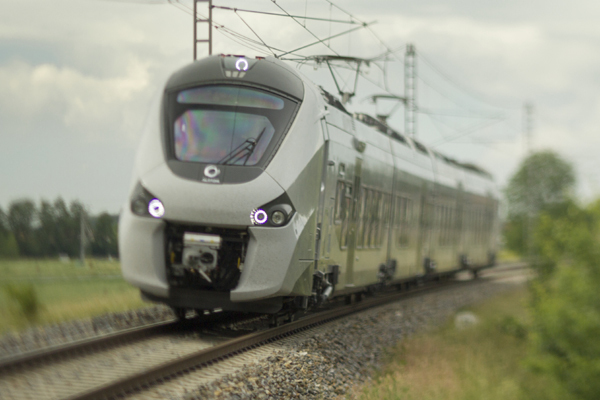 This new milestone is an important step in Alstom’s global strategy and efforts to be closer to its customers,” said Gian Luca Erbacci, senior vice president of Alstom Middle East and Africa.